Beer pong with a twist! 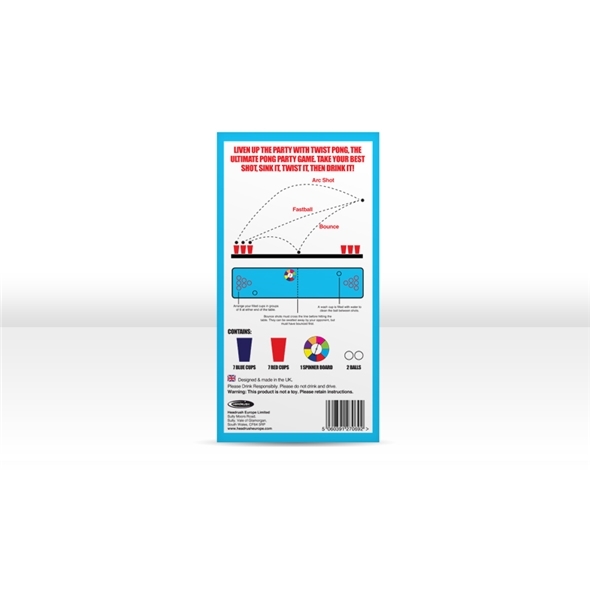 Has beer pong lost its challenge for you? Why not make it a little more interesting? 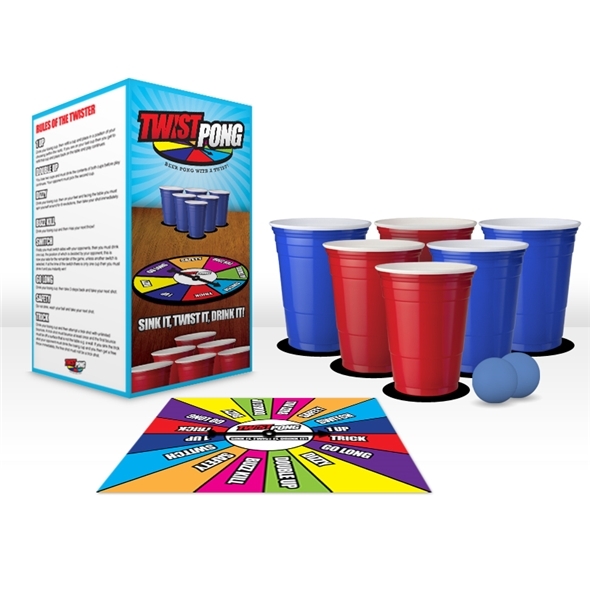 Twist Pong is a spinner game that puts a fun twist on the classic beer pong rules: for every cup you lose, you have to twist the spinner and do a forfeit! That forfeit could be anything from missing a go to switching sides with your opponent - anything can happen in Twist Pong! 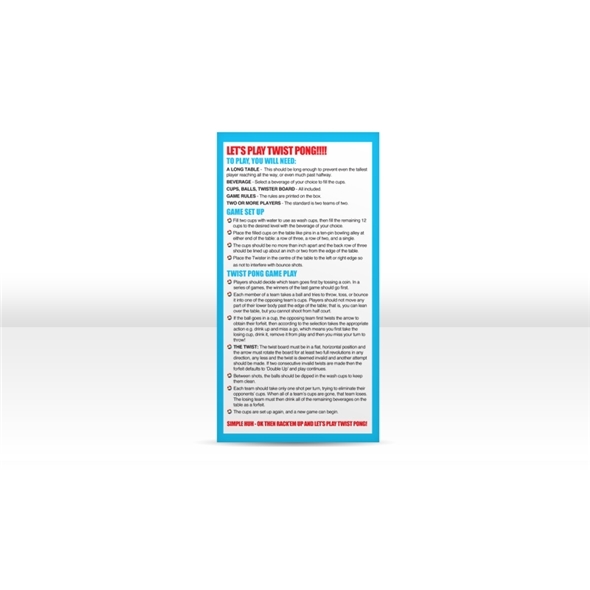 Breathe new life into this classic party game! 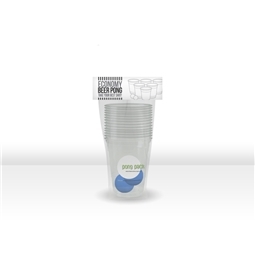 Playing Twist Pong couldn't be easier! 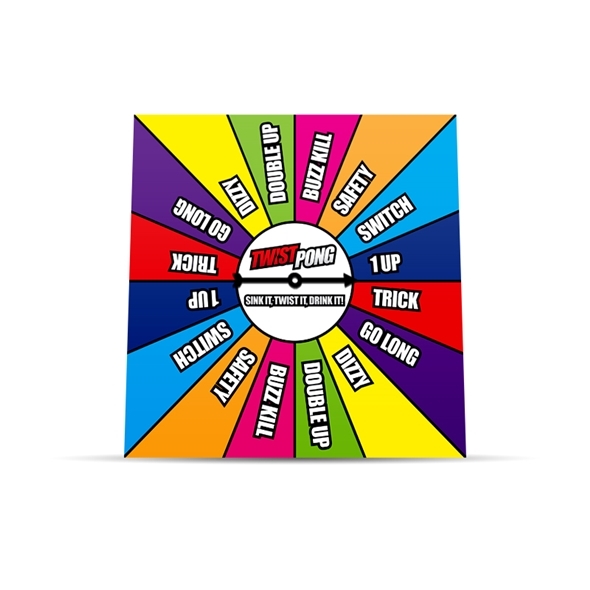 It's exactly like normal beer pong, but with one twist: if your opponent lands a ball in one of your cups, you have to spin the spinner (before drinking) and do as it says. Not to be confused with Spin Pong (also available from Gadget Inspector), which is a spinning beer pong rack for otherwise normal play. 1UP - Refill one of your lost cups and place it back on the table. DOUBLE UP - You must drink two cups instead of just one. DIZZY - Spin around on the spot 8 times before taking your next shot. BUZZKILL - Miss your next go. SWITCH - Switch sides with your opponent. Their remaining cups are now yours, and vice versa. GO LONG - Take 3 steps back before taking your next shot. SAFETY - You do not have to lose the cup that your opponent just hit. TRICK - Your next shot must be a trick shot. 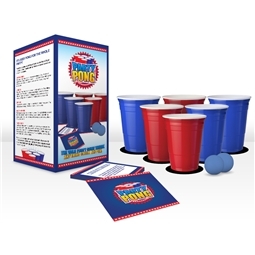 More detailed explanations of each rule are printed on the Twist Pong box, along with the standard rules of beer pong for reference. Make sure you don't lose the box! didn't buy (have now) but it but played it at a party last night and had really good fun, its a super party game so 5 stars. We had a great time with this - very good fun, and delivery was prompt too so no complaints whatsoever!